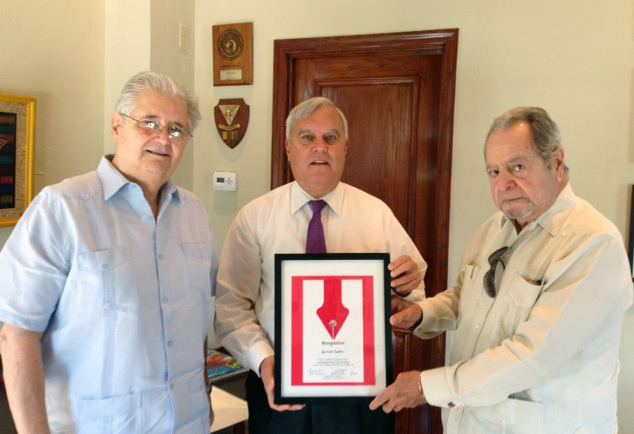 The president of the IPC, Humberto O. Estenoz and Pedro A. González, Jr, delivering the diploma of Founder of the IPC-Miami to Ambassador James Cason, Mayor of the City of Coral Gables, FL. This entry was posted in Coral Gables, Media Professional News, Recognized. Bookmark the permalink.